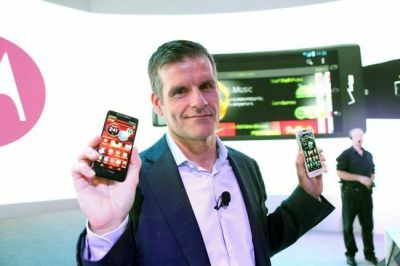 Dennis Woodside, CEO of Motorola Mobility, has finally released some more information on the business plans of the company. After Google's 12.5 billion dollar takeover, Motorola practicaly presented zero new products, and recorded an additional $271 million loss in the first quarter of this year. Many believe that the purchase of Motorola Mobility was one of Google's wrong moves, but Dennis Woodside on All Things Digital conference D11 assured that new products are coming soon. According to him, Motorola will introduce a mobile phone called Moto X and many other smartphones by October. CEO did not give more detailed specification or design of the device Moto X (although he apparently had it in his pocket), but has released some interesting information. Moto X should be aware of the environment in which it is located, and thus adjust mode and offer the appropriate options for the user. For example, smartphones will "know" if it is your pocket or in a moving car and then according to the location adjust its behavior. Continuous monitoring of the surrounding events will certainly affect the autonomy of the battery, which Woodside regarded with the fact that Motorola has implemented for this purpose two processors, while the device will be produced in the United States at the factory in Texas with 2,000 employees. In addition, Motorola will work with Google on the development of future devices with significant technical innovations and "revolutionary solutions," adds Woodside. All new products of Motorola should be found in sales before the end of this year.